Manage your herd performance data using www.dairymanager.net and view your reports instantly. Alternatively use our Bureau Service option. Kingshay's costings website is easy to use and enables you to save data on every page. If you are still sending your data into the Kingshay office, why not have a go at entering your figures online next month. 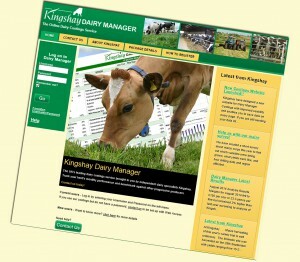 Log in by entering your username and password on www.dairymanager.net. If you use our costings service but do not have a Password, contact us to be set up with Web Access. To view a demo herd, enter Username - "demo1234" and password "demo1234" and navigate our website as if you were a registered user.